Furutech FI-1363 (G) Deep Cryogenically Treated Gold-Plated Mains Plug. 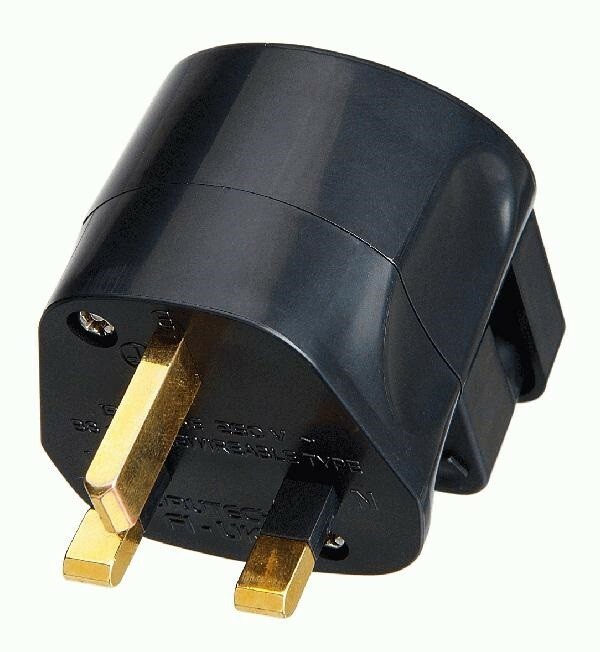 Customer testimony says this is the best gold-plated UK mains plug out there. Available in straight or right angled versions. Using Furutech’s patented alpha cryogenic process and demagnetising of all contact pins, this connector is a reference product due to the company’s attention to engineering and manufacturing detail. It is a scientific fact that gold-plating improves conductivity; and adding Furutech’s FI-1363 gold-plated mains plug to your power cord will bring sonic benefits to your system because of this. This plug will accept quite thick gauge cables and is easy to install. Eutectic copper alloy α (Alpha) Conductor. Specified for cable diameters of 6mm to 20mm. Dimensions: Body length 48mm x 50.2mm diameter x 55.8mm overall length. The Furutech website lists all the variations available, and we stock most of them. Using cutting-edge technology and materials, Furutech developed a low-temperature two-stage process that significantly improves every facet of audio and video performance. The treatment begins during the manufacturing process with a deep, conditioning cryogenic freeze of all metal parts. Using high-end refrigerants (liquid N2 or He), Furutech achieves temperatures of between -196 to -250C. The treated parts actually change their molecular structure at these extremes of temperature, relieving internal stress. The molecules bond together more tightly and the overall structure becomes more stable, which improves electrical conductivity and so power and signal transfer. Step two in the Alpha Process exposes these same parts to the patented Ring Demagnetisation treatment. Ordinary high power magnets used for this purpose often increase magnetisation effects; they leave some areas more magnetised than others. Just like a CD spinning over a fixed magnet, when the CD stops the area above the magnet is still exposed to the magnetic field causing audible effects. This patented process uses controlled attenuation to completely eliminate magnetisation for immediately more vivid and colourful improvements. Ring Demagnetisation further enhances conductivity of all treated materials. The patent holder for this treatment is Sekiguchi Machine Sale Co. Ltd. inJapan, and Furutech are licensed users of this technology. The Final Result The two-step Alpha Cryogenic and Demagnetising Process works in tandem with other design-in features to create the most optimized AC power transfer possible. Furutech’s total awareness and devotion to detail results in a greater sense of power, dynamics, and resolution; with cleaner, blacker backgrounds and a larger, more stable soundstage, vivid tonal colours and deeper extension at both ends of the frequency range. Quite simply the best plug on the market and looks the biz too! I bought this plug after some good advice from David and I believe this is the best Uk plug on the market right now, second to none worth every penny. “I upgraded all my mains cable with these mains plugs and Furutech FP-S35N Mains Power Cable.